The key to building a successful chatbot is to ensure that the bot and the user can have a conversation that both sides understand. How well the bot understands the conversation depends in part on the quality and amount of end user utterance data. 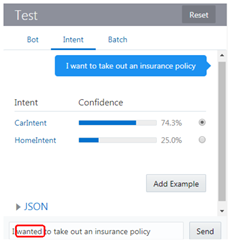 In Oracle Intelligent Bots, sample utterances define a base set of phrases (which would be regarded as typical phrases for that intent) that are used to train the bot to resolve user intent. In this article we offer some general guidance for designing the utterances for your intents, with specific attention to the case when you do not have access to a set of actual end user utterances. Read the complete article here.